The highly anticipated Patek Philippe Ref. 1518 Perpetual Calendar Chronograph went up for sale some days ago. The seller is an American collector, after several minutes of intense bidding, the outstanding piece of craftmanship got sold for an breathtaking $794,500. It was estimated to be sold for less than the half of that winning bid. But this is not the first time this particular watch has appeared at an auction, last time it was over 15 years ago, 1997 at Antiquorum Geneva. It was manufactured back in 1951 and sold two years later, 1953 with the rose gold bracelet. This watch is one of amongst the rarest variations of reference 1518 to come to market, and something that caught my attention was by its well-preserved condition. 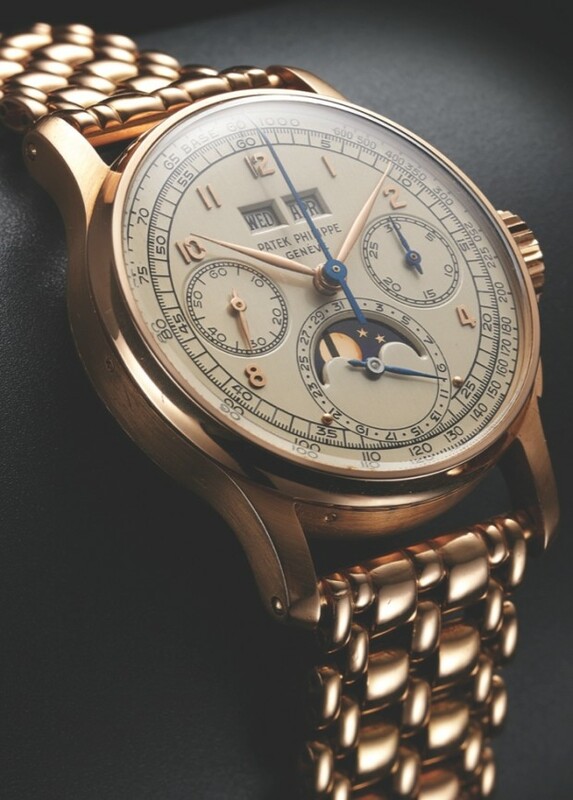 The ref 1518 was the world’s first perpetual calendar chronograph wristwatch produced in a series by any manufacturer. Of the 281 examples of Ref 1518 crafted from 1941 through 1952, only few examples were produced in pink/rose gold. I´am pretty sure that Antiquorum got a pretty nice commission.